IndiGo is India's largest passenger airline in terms of market share. Tickets starting at Rs. 1,005 are being offered by IndiGo. As the end of the year draws close, travellers are firming up plans of vacations around the festive season holidays. To lure potential passengers, airlines are coming up with new discount offers on flight tickets. 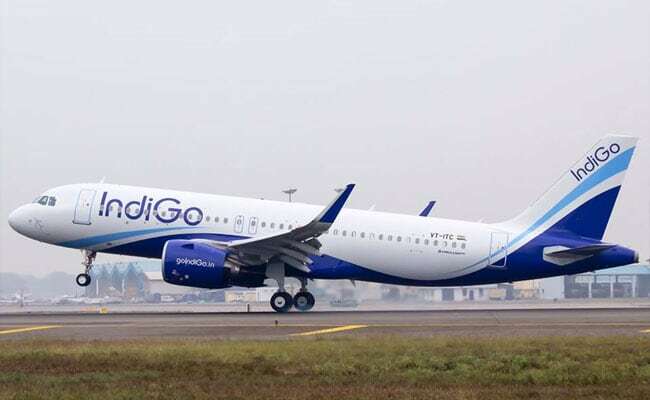 Indigo, Jet Airways, GoAir, SpiceJet and AirAsia have announced tickets at discounted rates which can be easily availed from respective airline's website or app. IndiGo, India's largest passenger airline by market share, is offering flight tickets starting at Rs. 1,005 on select routes. On Saturday, the company also said that it has become the first Indian airline to operate "1,000 plus flights in a day". According to airline's website- goindigo.in, tickets starting at Rs. 1,005 are being offered by IndiGo on flights from Bagdogra to Guwahati. IndiGo is also offering tickets starting at Rs.1,095 from Coimbatore to Chennai and Rs. 1,120 flight tickets from Chennai to Bengaluru. It is offering tickets starting at Rs. 1,130 from Agartala to Guwahati. The airline is offering tickets between Ahemdabad and Mumbai at Rs 1,261. Delhi to Lucknow is also priced low at Rs 1,030 while Delhi to Jaipur is priced at Rs 1,170. Meanwhile Chandigarh to Delhi flight tickets are priced at Rs1,299, IndiGo said. Since its inception in August 2006, IndiGo has grown from a carrier with one plane to a fleet of 150 aircraft today. A uniform fleet for each type of operation, high operational reliability and an award winning service make it a reliable airline in the world. The company currently operates flights connecting to 46 destinations - 39 domestic and 7 international and have started selling tickets to four additional destinations including 1 international destination. IndiGo is India's largest passenger airline with a market share of 39.4% as of November, 2017. It primarily operates in India's domestic air travel market as a low-cost carrier.